COLUMBUS (March 20, 2018) – Household leaks can waste more than 1 trillion gallons of water per year in the United States alone. That’s equal to the annual household water use of more than 11 million homes. The Public Utilities Commission of Ohio (PUCO) and Ohio Environmental Protection Agency are promoting “Fix a Leak Week,” March 19–25, 2018. 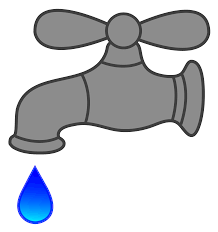 Fix a Leak Week is sponsored by the U.S. Environmental Protection Agency’s WaterSense program as an annual reminder to check household plumbing fixtures and irrigation systems for leaks. “The more water that is conserved, the less water that ultimately has to be sent to the wastewater treatment plant. Community-wide efforts to fix leaks make good environmental and economic sense,” Ohio EPA Director Craig W. Butler said. Reduce faucet leaks by checking faucet and shower head washers and gaskets for wear and, if necessary, replace the faucet with a WaterSense labeled model. Silent toilet leaks can be found by placing a few drops of food coloring in the tank and checking the bowl for color after a few minutes or before flushing. Replacing a worn rubber flapper is a quick, affordable fix. Introduced in 2006, WaterSense® is a partnership program sponsored by the U.S. EPA that makes it easy for Americans to save water and protect the environment by identifying water-efficient products, services and homes. The WaterSense® label can be found on toilets and bathroom faucets. Products that have earned the WaterSense® label have been independently tested to meet water-efficiency specifications set by the U.S. EPA. Visit www.epa.gov/watersense to find a WaterSense® labeled product in your area. For more information on Fix a Leak Week, visit www.epa.gov/watersense/fixaleak.